As one of the top payroll processing companies, Payentry saves you time and money with a revolutionary approach to payroll. No matter the size of you company, Payentry covers it all, including enterprise payroll for larger organizations and small business payroll services tailored to your needs. At Payentry, we offer a variety of payroll services, including Paperless Pay, Hiring and Onboarding, and Employee Tax Credit Identification. With our payroll service, you even have the ability to establish and manage Retirement Plans within one streamlined system. Regardless of your payroll needs, Payentry is the all-in-one payroll solution for any size business. The Payentry Card takes paperless payroll processing to the next level. For small business payroll services as well as enterprise payroll, paperless is the key; it’s easy to set up, eliminates the costs associated with issuing physical checks, and gives your employees added convenience and control. 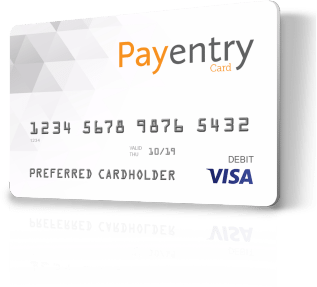 The Payentry Card eliminates the time, cost, and risk of issuing physical checks. Plus, the Payentry Card gives your non-banked employees the convenience of direct deposit and online finance management. Keeping your business 100% compliant with all local, state, and federal guidelines can be overwhelming. That’s where Payentry comes in. As one of the top payroll processing companies in the business, we stay ahead of the latest regulations. Our payroll service ensures that you avoid the small payroll mistakes that can quickly turn into big problems. From our Timekeeping Portal, you can manage timecard approvals, time entries, and assigned schedules. Looking to enter time-off for you employees? With Payentry’s time-off features, you can reconcile time-off requests with scheduling needs in an instant, examine historical time-off data for each employee, and approve requests in just a few clicks. 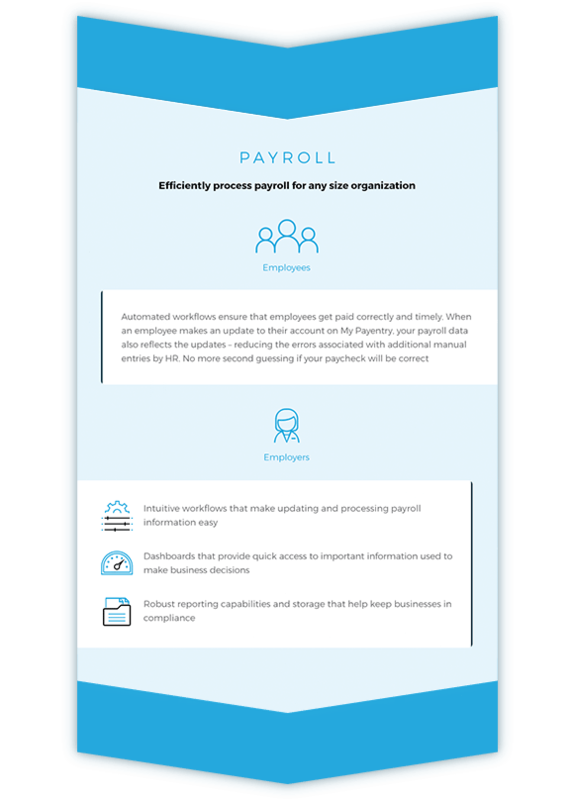 In addition to these basics, as part of Payentry’s payroll service we offer real-time attendance data and customized reports that keep you in the loop and aware of workplace trends.